The UV-spectrophotometric method of analysis was proposed for simultaneous determination of fluoxetine (FLX) and sertraline (SRT). Considering the strong spectral overlap between UV-Vis spectra of these compounds, a previous separation should be carried out in order to determine them by conventional spectrophotometric techniques. Here, full-spectrum multivariate calibrations adaptive neuro-fuzzy inference system (ANFIS) method is developed. Adaptive network based fuzzy inference system (ANFIS) is a neuro fuzzy technique where the fusion is made between the neural network and the fuzzy inference system that is a computational method. The experimental calibration matrix was constructed with 30 samples. The concentration ranges considered were 5-120 〖μg.mL〗^(-1) fluoxetine and 10-120 〖μg.mL〗^(-1) sertraline .Absorbance data of the calibration standards were taken between 200-300nm with UV-Vis spectrophotometer. 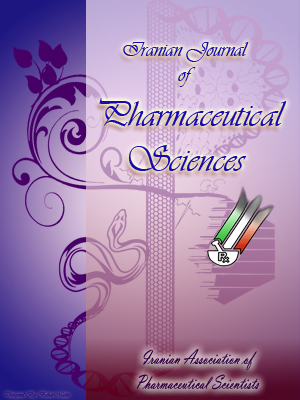 The method was applied to accurately and simultaneously determine the content of pharmaceutical in several synthetic mixtures and real samples. Assaying various synthetic mixtures of the components validated the presented methods. Mean recovery values were found to be 101.26% and 100.24%, respectively for determination of FLX and SRT.